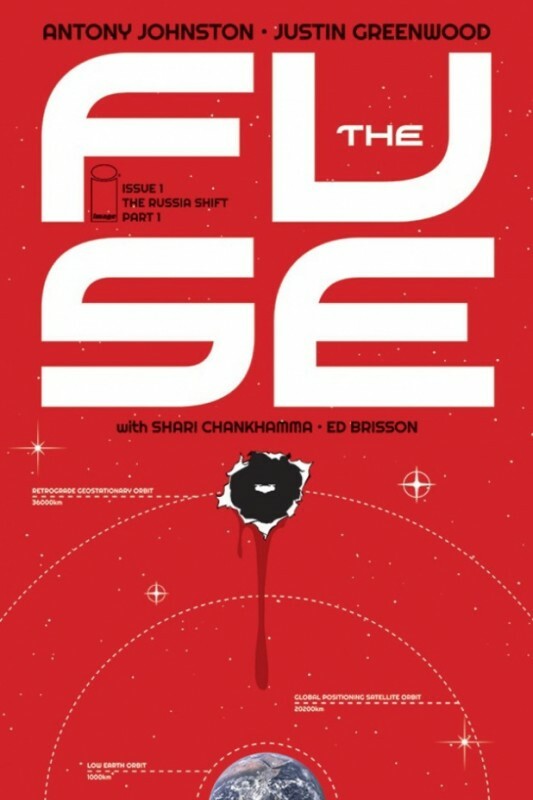 The name of this comic, The Fuse, comes from the shape of the space station that is set in a geostationary orbit about Earth at an altitude of 36 000 kms. It looks like a cartridge fuse but on a monumental size, populated by an excess amount of Earth’s citizenry. I like stories that make me ask questions. The first, of course, is why? Why is the space station up there? What year is it? One of the characters in the first few pages states that she’s moving to the Fuse permanently to evade her tax debt, and why can she do that? Given that the story starts with the murder of a disturbed homeless person by an unknown assailant, we already have a mystery to start us off before we even start asking questions. And all of this happens in the first five pages. Then we get introduced to our cops – one ancient and nearly retired Russkiya, paired with a German wunderkind detective who has requested a transfer to the Fuse. Nobody ever requests a transfer to the Fuse so that begs another question about why he’s up there? This is definitely a thinking person’s story. You aren’t just thinking about the crime though – you wonder about every single aspect of this comic: the setting is a mystery, the main characters, the socio-political background of this Earth in the future – everything. I have so many questions about the environment that the plot itself is almost secondary! There’s a real sense of world-building about this book that really is epic in nature. The team of writer Antony Johnston and artist Justin Greenwood are the awesome collaborative duo that have created this grand adventure. Building a world on this scale takes a tremendous amount of creative effort; just the sight of the panoramic view of the Fuse in orbit on pages 6 and 7 is really quite awe-inspiring. To imagine and create a futuristic Earth that can place this monster in orbit and make it a sustainable city is an amazing image and one that forces you to sit up and take notice. And ask questions. Seriously – I need to read the next issue and hopefully get some answers about how this world came to be. You should too.